Why do we need interconnect cables? The answer is trivial – to connect different components. You can link a CD player with a digital-to-analog converter or connect speakers to an amplifier. This is relatively straightforward. But why on earth do you need expensive cables? This point is quite critical. After the first column I received a letter with two questions. One of them set the tone for this issue. First I will quote my correspondent. I have been thinking about one issue for a long time. 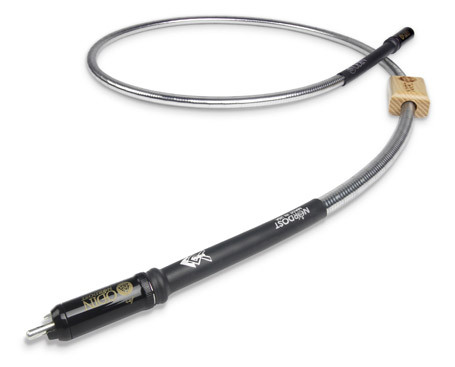 My profession is connected with data transfer in physical media and I regularly go mad when I hear that an interconnect cable for $500 is better than one for $150. In my native town we have a chain of pretentious HiFi shops with pushy consultants and I regularly ask them to explain the difference. I was never satisfied with their answers, but they always insist that the sound is different. I tested cables several times, but did not hear anything specific. These are digital interfaces, right? How terminal units must work if they cannot transfer data without distortions? I have two black boxes successfully exchanging data via 40 Gb/s duplex connection. The price of the interconnect cable is £23, but I do not lose a single bit. Is it marketing propaganda again? Sasha, the issue of cables is very complicated. At the moment I am quite skeptical about analog interconnect cables let alone digital ones, which should ensure the absence of losses and bugs. But there are people in their right mind who clearly hear the difference between different cables and types of connection (for example, optical and analog). One day we can hear it as well. Our readers would probably like to see a good interconnect cable from a famous brand. 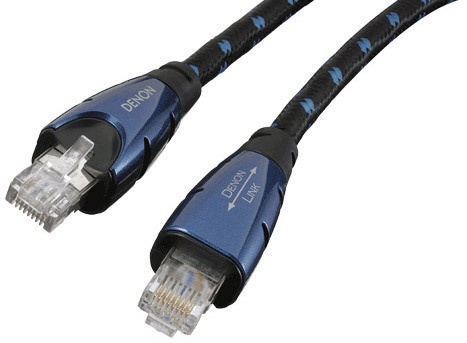 Here comes Ethernet cable for $499 from Denon. Now, let's think. From the beginning we should remember that cables transfer not abstract zeroes and ones, but real signals. If you detect the voltage from 0.5 V and up it is "one" and everything below is "zero". There may be some differences, because the signal transfer is never error free. To find and correct these errors special algorithms are used. If correction algorithms are disabled in the device, which gets the signal and turns it digital then two cables may give different sound. But I suspect that after a certain price level the signal deterioration in the optical conductor (for optical connection) and voltage loss (for analog connection) are negligible, so there should be no problem to detect any zero or one if you do not have interference or rumble. If the insulation features something dim (optical connection) or contains extraneous materials (coaxial cable) errors are natural. Do not discard external noise as well. Faulty design of devices, which fail to detect and correct errors, may be intended after all. I communicated with specialists in radio electronics and I was told that it is possible to create a system, which could react to every change of environment. It is not fair, but allows playing with the sound. Now let's speak about interference and rumble. I connected Xbox 360 with the long unshielded component cable to a 2.5 meter screen and could clearly observe artefacts. When I used a more expensive cable with better shielding the problem was solved. Why such a situation should be impossible when you connect two audio components with a cable? 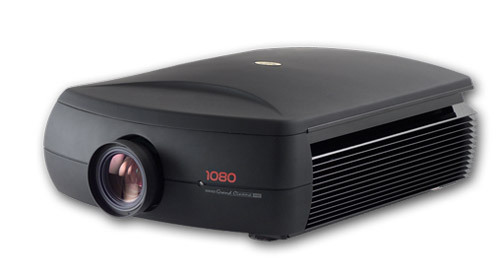 By the way, my projector is not the top of the range. Here come two questions. First – can it happen? Theoretically, it is possible. The second question is can you hear the difference? The answer needs some consideration. Alexander claims that no matter how hard he tries he cannot hear the difference between different configurations. Two conclusions are possible in this case. The first one is a bit pessimistic that he may not be able to hear it at all, while the second suggests that consultants failed to help him hear this difference. Sometimes listeners do not know what to pay attention to, but an experienced audio fan will notice everything very quickly. I can advise either not to bother about the issue or find a better mentor in this area. The clear cut answer is impossible, because then we would not have had arguments about interconnect cables between those who hear the different and their colleagues who cannot achieve that. Let's return to the price barrier. The interconnect cable for data transfer cost £23. The distance between the components was probably not big, but it still cost more than an electric cable. After this how can we reproach audiophiles who claim that "the price of interconnect cables must constitute no less than 10% of the total price of equipment"? A worthy device needs an appropriate accessory. Moreover, expensive speakers and HiFi equipment in general have better resolution ability, which facilitates the discovery of artefacts (remember the projector screen I mentioned, because on an old LCD monitor some interference was just not visible). Without going into technical detail I think we should not laugh at those who hear the difference. They are supposed to fail blind tests, but that's a whole different ball game. This topic deserves a separate article just like a choice of "right" speaker cables. What should you do if the shielding is great and errors are easily corrected? There is one more option. 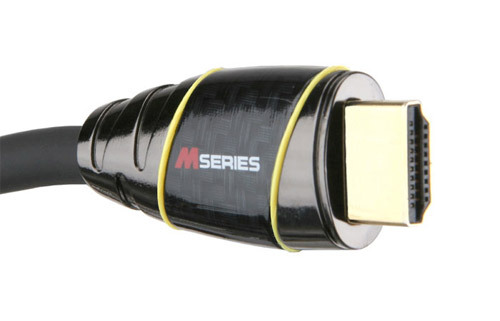 For example, look at this pricey ($1200 for 15 meters) HDMI cable M2000 from Monster Cable with the lifetime guarantee and the fastest data transfer speed. To be more precise, it is a photo of its connector. No comment.